All NORTH FORTY UNIT TWO LOT homes currently listed for sale in Mesa as of 04/23/2019 are shown below. You can change the search criteria at any time by pressing the 'Change Search' button below. 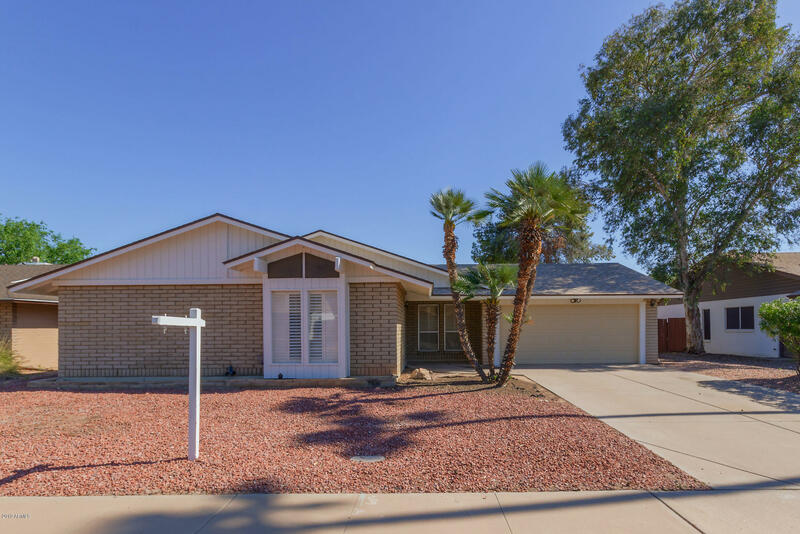 "Charming 3 bedroom 2 bath home with 2 car garage and PRIVATE POOL with NO HOA in a fantastic location conveniently located close to the 60 FWY and Loop 101 and surrounded by shopping & restaurants! Your new home features a separate Family Room and Living Room, has vaulted ceilings, Ceiling Fans throughout and special upgrades around the home including a remodeled Guest Bathroom, Plantation Shutters and Bamboo Flooring throughout! Your backyard is an Entertainers Dream with a large covered pati"